We provide a wide range of air conditioner brass flare fittings, like brass flare unions, brass flare plugs, brass flare nuts, brass connectors, brass male adapters etc, which is forged in high brass material and then machined on advance CNC centers for top precisions. 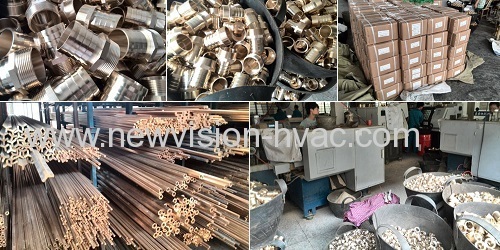 And it is mainly usde for the pipe connection in air conditioner and refrigeration systems.It's welcome for any enquiry from home and abroad clients. Available sizes 1/4" - 3/4"
Brass material forged and machined on CNC machines. We could be designed and produced as per the customer specificaitons - OEM request. Remarks: The request of OEM & drawing is available for us. 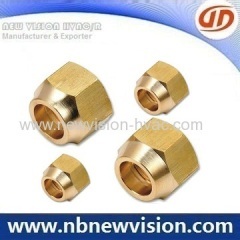 In case of more assistance about brass flare fittings, welcome to let us know any time and the reply will be made in 24 hours.